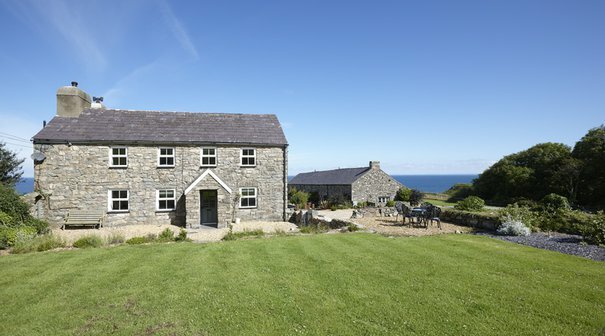 Nature's Point on the Llŷn Peninsula offers a unique collection of unforgettable luxury self catering cottages on the breath-taking coastline of North Wales, ideal for gathering the family and relaxing into an indulgent holiday break. 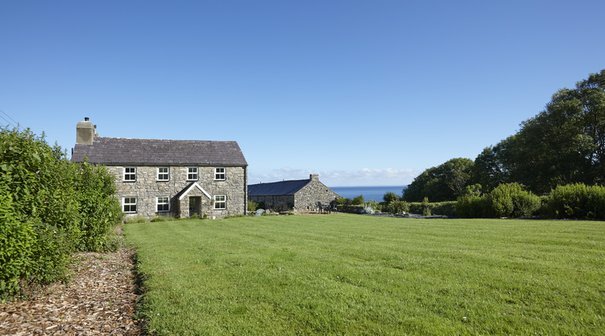 With a contemporary yet homely finish, these timeless cottages offer both spectacular sea views and access to the exciting adventures that border Snowdonia. 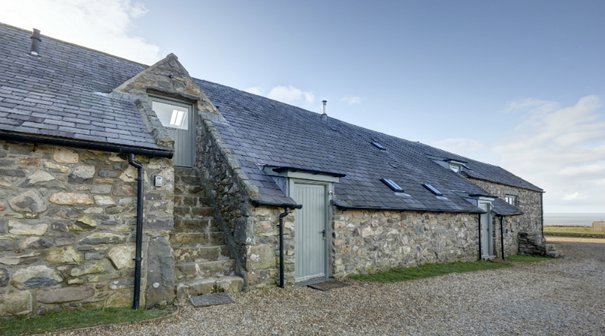 Stepping inside, the historic cottages (named after their agricultural roots) are perfectly equipped for families, groups, golfers, couples looking to escape it all, and even your four-legged friends! Intrigued? 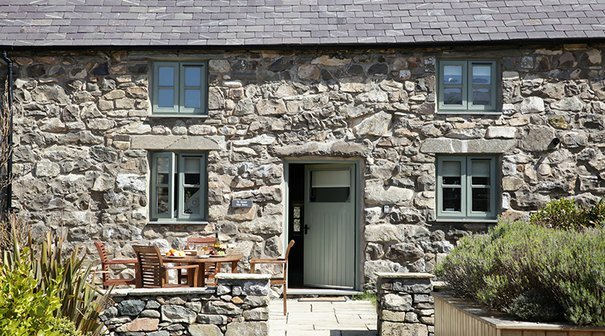 Find out more about our pet-friendly Llyn Peninsula cottages. The sumptuous bedrooms, opulent bathrooms and occasional upside-down living have all been engineered to take advantage of the exceptional sea views and unforgettable sunsets, from whichever courtyard hideaway you choose to bunker down in. 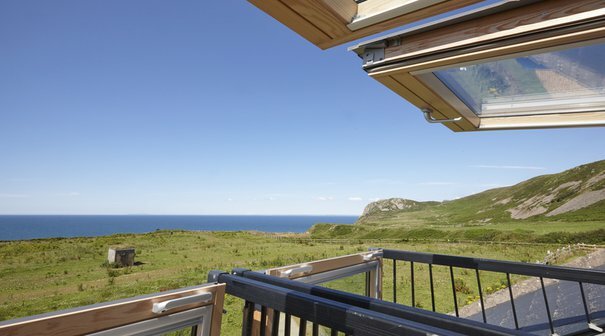 Perched on a cliff-top where the rolling hills of the beautiful, Welsh countryside meet the sparkling waters of the Irish Sea, our Llŷn Peninsula holiday cottages prove the ideal starting point to explore the dramatic landscapes found here in North Wales. 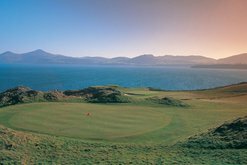 Situated on the edge of Nefyn Bay within a designated area of outstanding natural beauty, activities are plentiful and adventures are legendary. 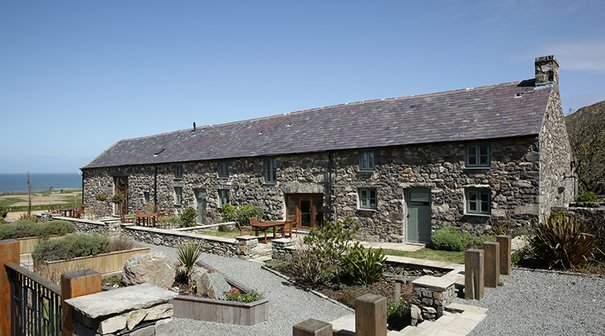 Bracing walks along the coastal paths, digging your toes into the soft sands of deserted beaches, picnicking in secluded coves and testing your handicap in internationally-renowned golf courses - all can be found within a short jaunt of our coastal cottages, with circumnavigation of the entire Llŷn taking just a couple of hours! The wild beauty of the Snowdonia National Park is also within driving distance, where a climb to the iconic Mt. Snowdon summit needn't be hard work; the popular Snowdon Mountain Railway is without a doubt one of the most incredible railway journeys and a must for any visitor to the area. There are also a myriad of outdoor adventures to be found here, including everything from lake surfing, the world's longest Zipline, alpine forest coasters and zip safaris to get stuck into. With nearly 100 miles of coastline encompassing the Llŷn Peninsula, you’re never too far from a glorious stretch of sand. Whistling Sands is just along the coast and is simply stunning, perfect for a wonderful stroll or a day in the sun. 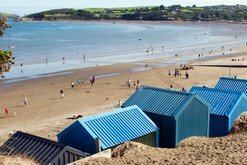 The picturesque seaside villages in the area are also a joy to explore, with Abersoch just 20 minutes drive, and the brightly coloured beach huts of Llanbedrog found along the journey (make sure to hunt out the famous Tin Man!). For die-hard surfers, Porth Neigwl (or Hell's Mouth) offers epic conditions and miles of shoreline, and for the little ones, there are more than enough surf-schools to teach the basics of bodyboarding! 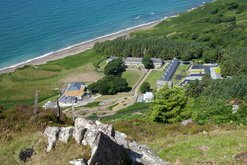 *Please note, our cottages on the Llyn Peninsula will experience some development disruption between 1st April 2018 - Spring 2019. For further information please call our Concierge Team on 01625 416430. 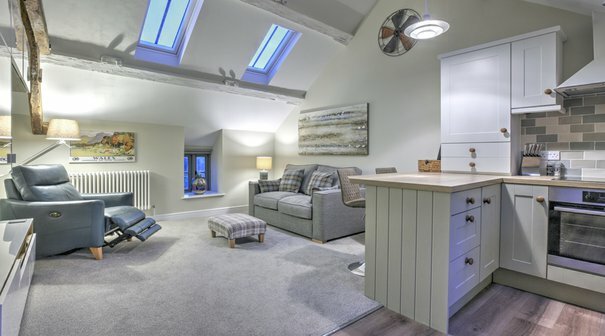 Charming courtyard cottage for two, with private entrance and sumptuous king-size bedroom. Positioned around an attractive central courtyard, this stunning traditional stone farmhouse comprises of four bedrooms and three luxurious bathrooms, comfortably accommodating up to seven adults. 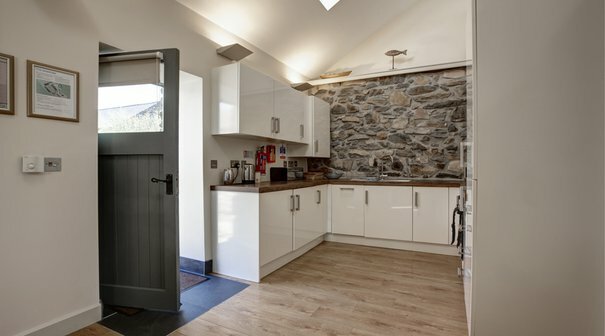 The Farmhouse also features a spacious and modern fully-fitted kitchen and a stunning dining room with fantastic coastal views. 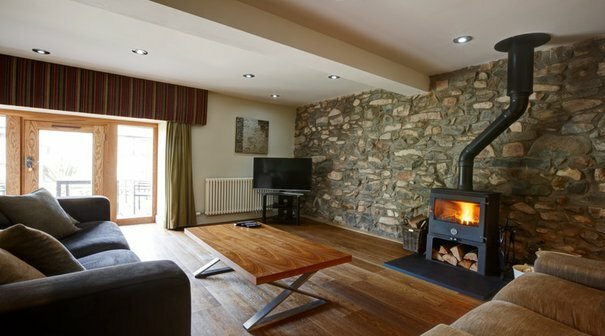 The airy lounge offers picturesque countryside views and retains an abundance of rustic features including a large fireplace with wood burning stove as the focal point of the room. 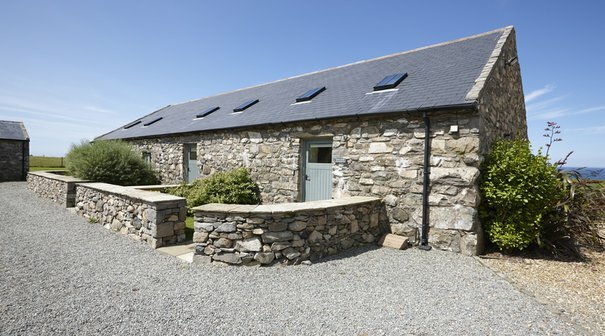 This is a traditional stone cottage built to harmonise with it's surroundings. 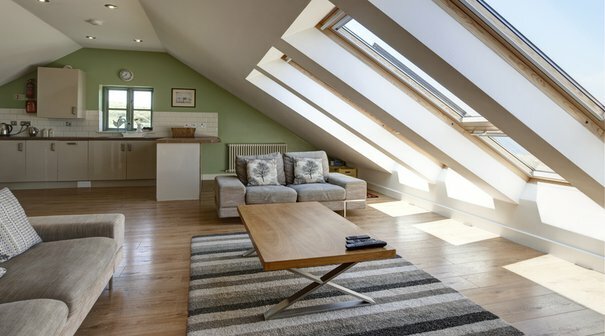 Each cottage has its own distinctive character and all are equipped to the highest standards for a luxurious holiday experience within reach of all the local attractions. 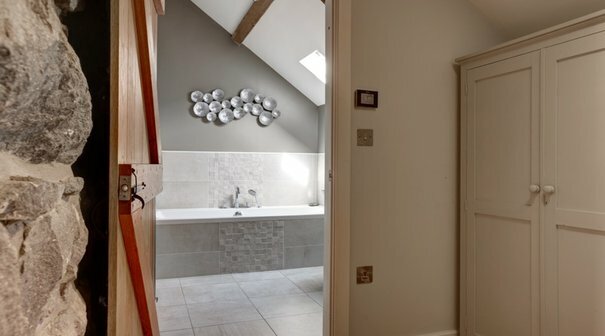 This is a 2 bedroom cottage, each bedroom has it's own en-suite shower room.